In the last two decades, advances have emerged in reproductive technologies. Only limited number of cases have resulted in a successful outcome, mainly due to implantation failure. The course of embryo implantation is dynamic, and it involves the interplay of cellular and molecular events between the endometrium and the nascent blastocyst in a well-coordinated manner, within a time frame called window of implantation. Although animal studies have tried to elucidate the various molecular and cellular pathways involved in embryo implantation, there is a paucity of knowledge about the humans. The direct study of the implantation events in human may be impossible for ethical and technical reasons. Hence, a good understanding of the factors involved may trigger research aim at modulating the cellular and molecular attributes for therapeutic purposes. Introduction: The implantation of the embryo in the endometrium is crucial for the development of the pregnancy andis essential for the reproduction of organisms including humans. The act of accepting a blastocyst, a supposed foreign tissue because of the paternal components, by the maternal endometrium, involves the interplay of many factors. These factors,produced by the blastocyst as well as the maternal endometrium, are the cytokines, chemokines, adhesion molecules, certain class of major histocompatibility complex(MHC) and recently the microRNAs. For successful implantation, the interactive process of the blastocyst and endometrium must create controlled regulatory settings with these factors as theexcess of its pro-inflammatory or anti-inflammatory process will compromise the implantation process. So, these factors must play their regulatory role accordingly. The chemokinescreate good orientation of the blastocyst and the adhesion molecules establishing good interactions while the uterine Natural Killer cells (uNK) and the regulatory T cells play a pivotal role in the maternal immunological response to the blastocyst. The concept of implantation involves the invasion of the maternal endometrium by the blastocystaim to establish a nutrient pathway essential for the developing embryo. Considering the allogeneic nature of the blastocyst and the immunological activity involved in the acceptance by the maternalendometrium, make the implantation a complex process. Before implantation, the endometrium undergoes structural and functional changes under the influence of the Ovarian steroid hormones in a process term implantation window. The endometrium, haven been primed by the oestrogen in the proliferative phase of the menstrual cycle, starts secreting various substances between 19-24 days from the stromal glands under the influence of the progesterone in the secretory phase of the cycle. This process forms the decidualization and it varies with species such that oestrogen and progesterone are required in humans and Rats while Pigs, Hamster and Rabbit only require oestrogen. This structural modification induced by oestrogen and progesterone facilitate the apposition, attachment and invasion through theproduction of cytokines, growth factors, chemokines, adhesion molecules and immune cells. The blastocyst, on the other hand, is endow with receptors, adhesion molecules and production of cytokines and other mediators in the region proposed for the implantation process. Implantation occurs 6-7 days post fertilisation and become fully embedded after ten days. The outcome depends on the successful establishment of the mother for the semi allogeneicembryo. In turn depends on the complex signalling network of the pro-inflammatory and the anti-inflammatory activities of the cytokines and the adhesion molecules. As the blastocyst approaches the endometrium, it develops polarity that influences its orientation and the trophectoderm over the inner cell mass move towards the endometrial surface for implantation in humans. Though the mechanism is not known, some authorities have proposed due to chemokine gradient in the uterus. These chemokines are CX3CL1, CCL7, CCL14, and CCL4. While the receptors on the blastocyst are CCR1, CCR3, CX3CR1. The blastocyst in the uterus triggers the activities of the cytokines and interleukin-6(IL-6) family plays a very important role in this regard. These cytokines are Leukemia inhibitory factor(LIF), IL-11, Neurotrophin factor and cardiotrophin 1. They activate STAT3 through their intracellular signalling gp130. LIF is a pro-inflammatory cytokine and in combination with LIF-BR are produced during the secretory phase of the menstrual cycle to regulate aggregation of immune cells, migration of macrophages and restriction of NK cells in the endometrium during implantation. Its activity influenced by IL-1, Tumour Necrosis Factor(TNF-alpha), leptin, insulin-like growth factor(IGF) and Tissue growth factor(TGF-beta). Its role on the blastocyst is not known. The fact implantation is maternofetalinterplay; the blastocyst LIF may exert some control on the endometrial LIF to facilitate its receptivity towards achieving a successful implantation.It has been shown that LIFhas a role in the improvement of fertility rate in animal studies, but there is a conflictopinion abouthumans. However, it implantation potential has been established in a dose- dependent manner. IL-6is regulated by ovarian steroid hormones especially the oestrogen and Its production rises but drops during the late secretory phase of the menstrual cycle. While TGF and hCG inhibit its production. IL-11 is an anti-inflammatory, and its production is highest during decidualization with no cyclical variation because of it regulatory role to the pro-inflammatory cytokines especially TNF-alpha. IGF-1 and IGF-2 regulate the production of oestrogen and progesterone respectively. IGF-2 promotes invasion of the trophoblastand regulated by insulin-like growth factor binding protein (IGFBP) in an inhibitory manner to preventexcessive invasion of the trophoblast that could be detrimental.L-Selectin in the trophoblast enhances apposition byattraction to the carbohydrate ligand in the endometrium. Despite the perceived function of the L-selectin, its role in humans issubject to debate in the literature. Instead, the integrinalpha5beta3 is found to play a prominent role in the penetration phase. AndComplimented by the down -regulation of MuC-1 production especially in human and mice. The immune cells of relevance in implantation are the uNK cells, macrophages, dendritic cells (DCs), and T cells. The uNK cells are more produced in the late secretory phase with an indirect regulation by ovarian steroid hormones and prolactin. It shares a common CD56+ receptor with the peripheral NK cells, but its larger proportion have CD56bright receptors. uNK cells enhance decasualization and regulate maternal immune response through the regulation of the cytokines production and the vascularization of the endometrium by the production of vascular endothelial growth factors (VEGF) which promotes angiogenesis. thesubject of debate. Studies have shown in both human and mice that TH1 is essential during implantation. The cytokinesstimulate the production of LIF and enhance the process of angiogenesis. Furthermore, the TH1 triggers the production of TH2 cytokines. While, Treg with its receptor CD4+CD25+ plays a central role in peripheral tolerance and suppression of autoimmuneT cells. Though the mechanism is not known, some authors have proposed through the trigger of dendritic cells (DCs) to produce indoleamine 2, threedioxygenases (IDO) or through the inhibition of CD4+ and CD8+ T cells.While macrophages aid trophoblast invasion and as well as clearing of apoptotic materials to prevent trigger of theimmune response. In a bid to enhance tolerance from the maternal endometrium, the trophoblast through its MCP and CD59 factors inhibits the compliments C3, C5 and C5aR. However, it expresses various types of Major Histocom-patibility Complex molecules; HLA-C, HLA-G, HLA-E. While the HLA-C is polymorphic which could be a source of threat to the embryo, HLA-G has restricted polymorphism and does not involve any antigenic activity. It enhances tolerance through the regulation of cytokines from the uNK cells and the interaction of HLA-E with CD96/NKG2 receptors on the uNK cells. Also, it promotes the combination of HLA-C with the maternal killer immunoglobin-like receptor (KIRs) A and B expressed by uNK cells. MicroRNAs arenon- coding RNAs expressed in many cell types where they regulate the expression of RNAs by modulating the stability and translocation of mRNAs. They regulate close to 50% of all protein- coding genes in mammals.Through their potential in regulating several genes expression, they are said to bebio regulator of several cellular processes that include differentiation, proliferation and apoptosis. MicroRNAs plays a role in implantation process under the influence of ovarian steroid hormones. The oestrogen indirectly regulates microRNA by infringing on its biosynthesis through the alteration of enzymes. While Progesterone synergistically with oestrogen enhance microRNA activity in the uterus. Alteration in the microRNAs expression can constitute an adverse effect on the implantation process, for example, HLA-G expression down- regulation by microRNA-148 and microRNA-152 will compromise the immune tolerance and cytolysis from uNK cells. However, microRNA 29b is involved in the development of placental by promoting invasion, apoptosis and angiogenesis through its target on Nodal an important gene involved in early embryogenesis and cell differentiation. Several studies have shown the crucial role of microRNAs in regulating the fundamental pathway associated with pregnancy outcome. However, there is need for better understanding of the interactive process of microRNAs and mRNA to attain the needed pregnancy outcome. Infertility affects 8-12% of couples worldwide, and a significant number of these couples require Assisted Reproduction Technology as a mainstay treatment modality. 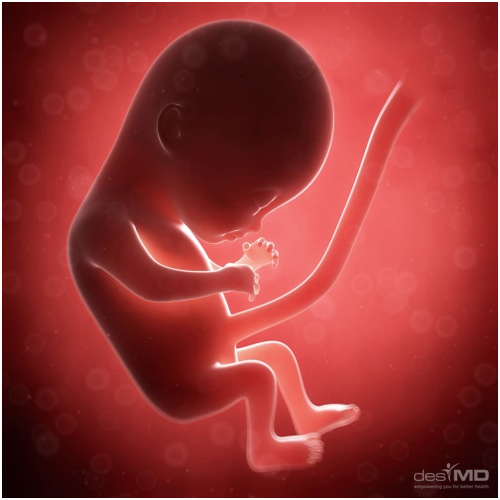 Though the advent of modern technology has enhanced the availability of relatively good quality embryo, only about 20-30% of such embryos result in a live birth. Epidemiological studies have shown that most of the pregnancy losses are due to implantation failure. Therefore, a good understanding of the complementary interaction of the endometrium and the nascent blastocyst may engender research aim at modulating the cellular and the molecular factors for therapeutic purposes. Implantation constitute an inflammatory activity involving both the pro-inflammatory and anti-inflammatory factors with the background immunological complex aim at creating access for the blastocyst into the maternal endometrium. The embryo tends to exhibit an aggression through its pro-inflammatory cytokines resulting in a penetrating effect on the endometrium. While the endometrium, on the other hand,creates a receptive environment through the implantation window. The interplay must be in a regulatory environment that is ensured by the maternal endometrium through the influence of ovarian steroid hormones and production of anti-inflammatory cytokines. While these various factors play a key role in the implantation process, their dose- dependent manner must bebear in mind as theexcessive level could compromise pregnancy outcome. 1. Fu G, Brkic J, Hayder H, Peng C. MicroRNAs in Human Placental Development and Pregnancy Complications. Int J Mol Sci. 2013;14(3):5519-44. 2. Castro-Rendon WA, Castro-Alvarez JF, Guzman-Martinez C, Bueno-Sanchez JC. Blastocyst-endometrium interaction: intertwining a cytokine network. Brazilian journal of medical and biological research = Revista brasileira de pesquisas medicas e biologicas. 2006;39(11):1373-85. 3. Singh M, Chaudhry P, Asselin E. Bridging endometrial receptivity and implantation: network of hormones, cytokines, and growth factors. Journal of Endocrinology. 2011;210(1):5-14. 4. Guzeloglu-Kayisli O, Kayisli UA, Taylor HS, editors. The role of growth factors and cytokines during implantation: endocrine and paracrine interactions. Seminars in reproductive medicine; 2009: NIH Public Access. 5. Dimitriadis E, White C, Jones R, Salamonsen L. Cytokines, chemokines and growth factors in endometrium related to implantation. Human reproduction update. 2005;11(6):613-30. 6. Guerin LR, Prins JR, Robertson SA. Regulatory T-cells and immune tolerance in pregnancy: a new target for infertility treatment? Human reproduction update. 2009;15(5):517-35. 7. Gnainsky Y, Granot I, Aldo PB, Barash A, Or Y, Schechtman E, et al. Local injury of the endometrium induces an inflammatory response that promotes successful implantation. Fertility and sterility. 2010;94(6):2030-6. 8. Chen D-b, Wang W. Human placental microRNAs and preeclampsia. Biology of reproduction. 2013;88(5):130, 1-11. 9. King AE, Critchley HO. Oestrogen and progesterone regulation of inflammatory processes in the human endometrium. The Journal of steroid biochemistry and molecular biology. 2010;120(2-3):116-26. 10. Cork B, Tuckerman E, Li T, Laird S. Expression of interleukin (IL)-11 receptor by the human endometrium in vivo and effects of IL-11, IL-6 and LIF on the production of MMP and cytokines by human endometrial cells in vitro. Molecular human reproduction. 2002;8(9):841-8. 11. Mourik MS, Macklon NS, Heijnen CJ. Embryonic implantation: cytokines, adhesion molecules, and immune cells in establishing an implantation environment. Journal of leukocyte biology. 2009;85(1):4-19. 12. Hosseini MK, Gunel T, Gumusoglu E, Benian A, Aydinli K. MicroRNA expression profiling in placenta and maternal plasma in early pregnancy loss. Molecular medicine reports. 2018;17(4):4941-52. 13. Farrokhnia F, Aplin JD, Westwood M, Forbes K. MicroRNA regulation of mitogenic signaling networks in the human placenta. The Journal of biological chemistry. 2014;289(44):30404-16. 14. Schofield G, Kimber SJ. Leukocyte subpopulations in the uteri of leukemia inhibitory factor knockout mice during early pregnancy. Biology of reproduction. 2005;72(4):872-8. 15. Dekel N, Gnainsky Y, Granot I, Mor G. Inflammation and implantation. American Journal of Reproductive Immunology. 2010;63(1):17-21. 16. Kimber SJ. Leukaemia inhibitory factor in implantation and uterine biology. Reproduction (Cambridge, England). 2005;130(2):131-45. 17. Doridot L, Miralles F, Barbaux S, Vaiman D. Trophoblasts, invasion, and microRNA. Frontiers in genetics. 2013;4:248. 18. Zhang S, Lin H, Kong S, Wang S, Wang H, Wang H, et al. Physiological and molecular determinants of embryo implantation. Molecular aspects of medicine. 2013;34(5):939-80. 19. Hayder H, O’Brien J, Nadeem U, Peng C. MicroRNAs: crucial regulators of placental development. Reproduction (Cambridge, England). 2018:REP-17-0603. 20. Fu G, Ye G, Nadeem L, Ji L, Manchanda T, Wang Y, et al. MicroRNA-376c impairs transforming growth factor-? and nodal signaling to promote trophoblast cell proliferation and invasion. Hypertension. 2013:HYPERTENSIONAHA. 111.203489. 21. Bidarimath M, Khalaj K, Wessels JM, Tayade C. MicroRNAs, immune cells and pregnancy. Cellular & molecular immunology. 2014;11(6):538. 22. Dominguez F, Yanez-Mo M, Sanchez-Madrid F, Simon C. Embryonic implantation and leukocyte transendothelial migration: different processes with similar players? The FASEB journal. 2005;19(9):1056-60. 23. Cuman C, Van Sinderen M, Gantier MP, Rainczuk K, Sorby K, Rombauts L, et al. Human blastocyst secreted microRNA regulate endometrial epithelial cell adhesion. EBioMedicine. 2015;2(10):1528-35. 24. Su L, Liu R, Cheng W, Zhu M, Li X, Zhao S, et al. Expression patterns of microRNAs in porcine endometrium and their potential roles in embryo implantation and placentation. PLoS One. 2014;9(2):e87867. 25. Dior UP, Kogan L, Chill HH, Eizenberg N, Simon A, Revel A, editors. Emerging Roles of microRNA in the embryo-endometrium cross talk. Seminars in reproductive medicine; 2014: Thieme Medical Publishers. Journal of Reproductive Immunology. 2016;75(3):263-71. 27. Xia HF, Jin XH, Cao ZF, Hu Y, Ma X. MicroRNA expression and regulation in the uterus during embryo implantation in rat. The FEBS journal. 2014;281(7):1872-91. 28. Geng Y, He J, Ding Y, Chen X, Zhou Y, Liu S, et al. The differential expression of microRNAs between implantation sites and interimplantation sites in early pregnancy in mice and their potential functions. Reproductive Sciences. 2014;21(10):1296-306. 29. Cheong AW, Pang RT, Liu W-M, Kottawatta KSA, Lee K-F, Yeung WS. MicroRNA Let-7a and dicer are important in the activation and implantation of delayed implanting mouse embryos. Human Reproduction. 2014;29(4):750-62. 30. Rosenbluth EM, Shelton DN, Wells LM, Sparks AE, Van Voorhis BJ. Human embryos secrete microRNAs into culture media-a potential biomarker for implantation. Fertility and sterility. 2014;101(5):1493-500. 31. Inhorn MC, Patrizio P. Infertility around the globe: new thinking on gender, reproductive technologies and global movements in the 21st century. Human reproduction update. 2015;21(4):411-26. 32. Singh H, Nardo L, Kimber SJ, Aplin JD. Early stages of implantation as revealed by an in vitro model. Reproduction (Cambridge, England). 2010;139(5):905-14.